We love our men and women of the U.S. Armed Forces. We have made contact with several members over the last several years that participate in Moustache March, non more than the Air Force. 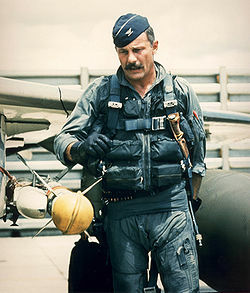 The Air Force holds a special regard for one Robin Olds, a fighter pilot during both WWII and Vietnam. Besides his fighter pilot skills he was known for his non-regulation moustache, which is honored every March by the men, and maybe some women of the Air Force. This week I received the video below from Lt. Todd Afshar to encourage his fellow Airmen and the rest of the Air Force to get ready for Moustache March. Enjoy.